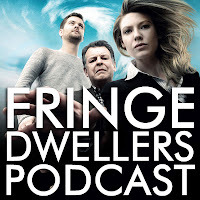 In the fourth episode of the Fringe Dwellers Podcast, Jen and Adele give you their opinions and perspectives on the second episode of Fringe, The Same Old Story. We discuss the negative reviews on the internet, the new official podcast, the differences between the Pilot and the newest episode, the father-son dynamic and theorize about the possible return of John Scott. We also reply to your great emails, comments and questions alike. Thank you so much for your support!